Here’s an interesting video I made while working on the Delaware River recently. Passing Packer Avenue Container Terminal, there was a ship taking on bunker fuel. Private air transport takes you from closer to where you are to closer to where you want to be. As you see in the photo of this beautiful King Air twin turboprop, you can begin your journey at a small airport. 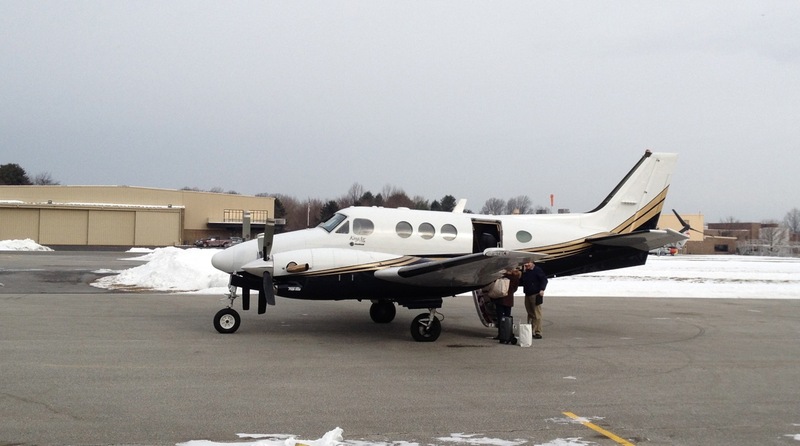 King Air at Brandywine Airport (KOQN). Similarly, you can touch down at another small strip near your destination. Remember, these small airports are usually hassle free, staffed by friendly people, and provide a welcome alternative to the aggravation giant terminals of commercial travel. It’s not cheap to fly private, but worth every penny. A U.S. Navy Blackhawk visited one of my local airports the other day. Take a look. You may have heard about these helicopters recently, and the crew they delivered to a select spot in Pakistan. Anyway, this one was decked out in a nice paint job for an official affair. The crew took special care of it, wiping it down as soon as they parked. Small, fixed wing pilots are wise to keep well clear of such beasts. Those rotors throw a tremendous downwash that can create interesting effects near a small plane, especially taking off or landing. Plus, these guys have important work to do. I’d rather not be in the way.